Allergan has appointed Banks Sadler as its sole venue-finder. Banks Sadler also won a place on Allergan's event management roster, which includes a "small number" of other agencies. 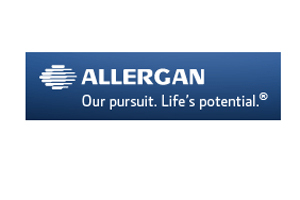 Allergan is an international pharmaceutical company based in California. Eye care, neuromodulator and skin care are among the healthcare markets that it works in. Allergan head of procurement Ronan Carter said Banks Sadler's appointments were part of Allergan's strategic supplier partnering programme. "After a full market tender, we selected Banks Sadler as our sole venue-finder because of its thoroughness in the sourcing process and ongoing supplier base optimisation," said Carter. "It offered the best commercial and quality outcome for our bookers. This was backed by solid references, a great client list and a personable team fitting well within the culture of Allergan." Banks Sadler chief executive Leigh Jagger said: "Consolidation of Allergan's event spend and a closer working relationship across its agency supplier base will offer the cost savings and quality guarantee that it is seeking. We are already working on our first event for Allergan, which will be held early next year." Watch the C&IT Cribs film of Banks Sadler's London office. Do you think Jagger should be included in this year's Power 50? Nominate now. Read Jagger's 2008 Power 50 profile.